The government has recently made a series of amendments in the e-visa regime to make it more tourist-friendly. The duration of stay in India of e-tourist and e-business visas is maximum up to one year with multiple entry subject to the stay stipulations. Also, the existing restriction of allowing foreigners for a maximum of three times has also been removed. On e-tourist visa, continuous stay during each visit shall not exceed 90 days in case of nationals of all countries who are eligible for grant of e-visa except nationals of USA, UK, Canada and Japan. In case of nationals of USA, UK, Canada and Japan, continuous stay during each visit shall not exceed 180 days. In all cases, no registration will be required. On the Changes in e-business visa, continuous stay during each visit shall not exceed 180 days in case of nationals of all countries who are eligible for grant of e-visa. No registration will be required if the stay is for a period of less than 180 days. The e-visa is valid for entry through two more designated airports (Bhubaneswar and Port Blair), raising the total number of such airports to 28. Indian nationals having supporting document are now eligible for Turkish e-Visa – equivalent to the sticker visa issued at Turkish missions. Getting e-visa costs 45 USD less than sticker visa and it takes only 3 minutes at the said website. 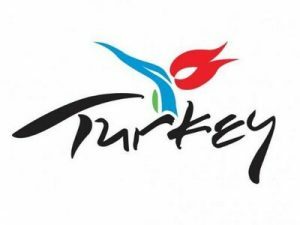 Turkish mission in India delegates no handling company for e-visa. One needs to log on to official web site https://www.evisa.gov.tr. Turkish e-visa is only valid when the purpose of travel is tourism or commerce. For other purposes, such as work and study, Turkish Embassy or Consulates will issue visa. E-visa kiosks at any airport in Istanbul will not be available after October 28, 2018. One needs to get e-visa before departure to Turkey. With effect from April 1, 2017, the e-visa facility for business and medical tourism is finally open for application. 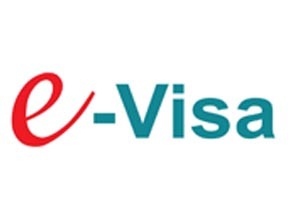 While the e-tourist visa facility was the first one to be launched, the central government further added the e-business and e-medical visa in an effort to propagate ease of visa facilitation. Furthermore, the facility has been extended to the nationals of 161 countries for entry through 24 airports and three Indian Ports while the window for application under e-visa scheme has been increased from 30 days to 120 days. Duration of stay on e-visa has also been increased from 30 days to 60 days with double entry on e-Tourist and e-Business visa and triple entry on e-Medical visa. Additionally, separate immigration counters and facilitation desks to assist medical tourist have been provided at six major Indian airports. 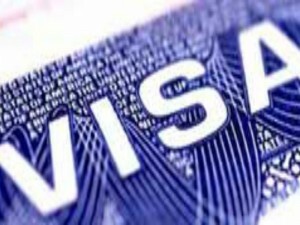 A new category of Visa, Film (F) Visa, has also been introduced with maximum duration of one year with multiple entry facility. The visa services, which have been expanded for tourism, medical and business purposes, has been extended to eight countries namely Angola, Rwanda, Niger, Cyprus, Cameroon, Sierra Leone, Mali and Burundi, revealed Vinod Zutshi, Secretary – Tourism, Govt. of India. “Apart from this, we are also working on extending the e-tourist visa for five other countries among which Italy, Slovak Republic, Azerbaijan and Uzbekistan are included,” he said at a closed-door meeting held in New Delhi. With this announcement, the total count of countries that can avail the e-visa services is 158.